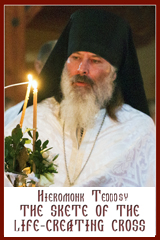 "Bishop Budka Enthroned on Sunday Last"
In last week’s issue we announced the arrival on Thursday morning of His Lordship Bishop Budka, head of the Ruthenian Catholic Church in Canada, and we recited in a general way the joy experienced by the Ruthenian Catholics at his arrival. He was met at the station by a representative delegation of priests and laymen and escorted to St. Nicholas presbytery. On Friday His Lordship paid a visit to St. Boniface. Since then he has been exceptionally busy and has accomplished a great deal. On Sunday [22 December] Bishop Budka was enthroned in his new episcopal seat at St. Nicholas Church on MacGregor St. Wearing the gorgeous robe of the Ruthenian episcopate and with a crown on his head His Lordship Bishop Budka proceeded from the residence of the Basilian Fathers to the Church where he was received by the representatives of the congregation and where he was presented with the keys to the church by Rev. 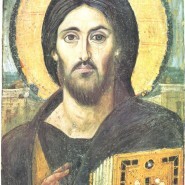 Father Filipow, Superior of the Basilians, as a token of submission. The church was packed to its utmost capacity at the pontifical High Mass which was celebrated and fully two thousand Ruthenian Catholics were obliged to remain outside during the services. His Lordship Bishop Budka officiated, assisted by Rev. Fathers Dydyk, Delaere, Kryzhanovsky, and Hura, the two later being from Mundare, Alberta, respectively. Rev. Father Sembratovych acted a Master of ceremonies and was assisted by the Bishop’s secretary Rev. Father Bala. In the afternoon a dinner was given by the Basilian Fathers in honour of the new bishop. Among the guests were His Grace Archbishop Langevin. The Pope, King George, and Archbishop Langevin were toasted by His Lordship Bishop Budka.